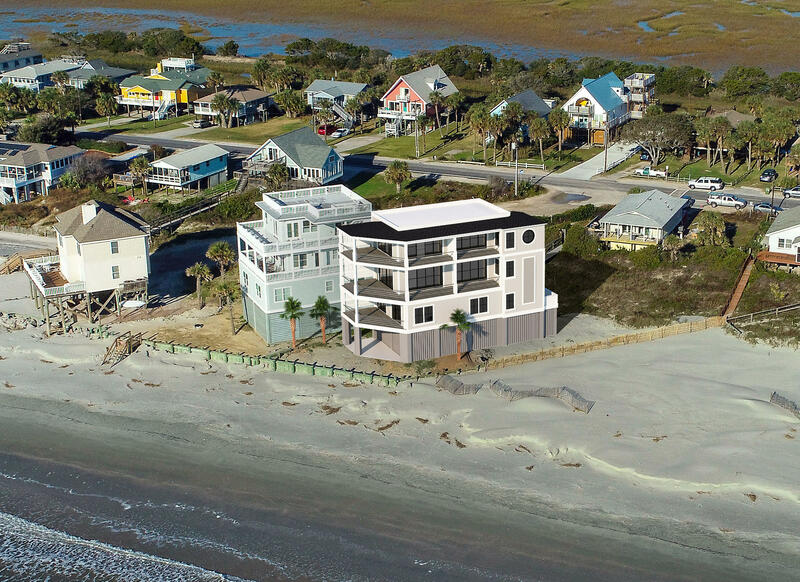 Enjoy gathering in the generous sized great room with gas log fireplace, entertainment cabinetry, and shiplap accent walls all complimenting the ocean focal point. 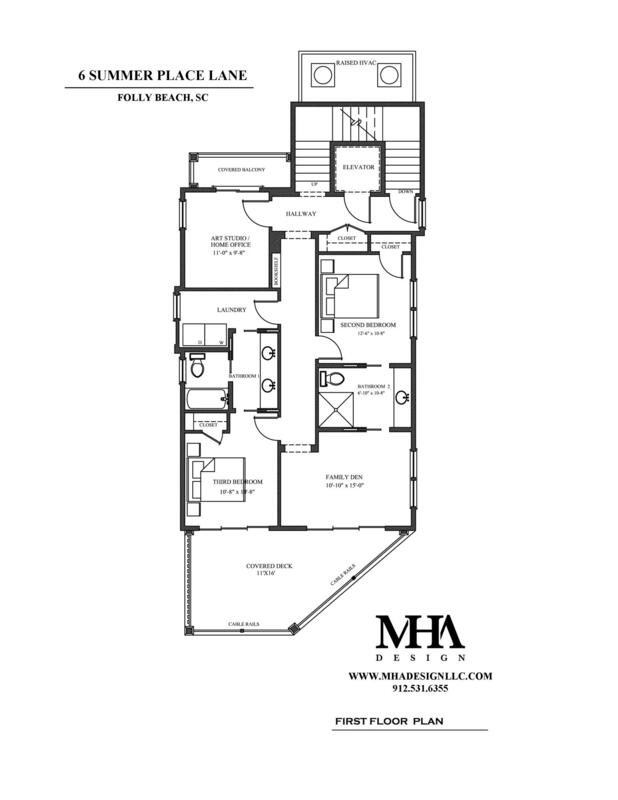 The sleek and stylish kitchen has a pantry, Carrera quartz counters, oversized island, designer cabinetry, and stainless-steel appliances. 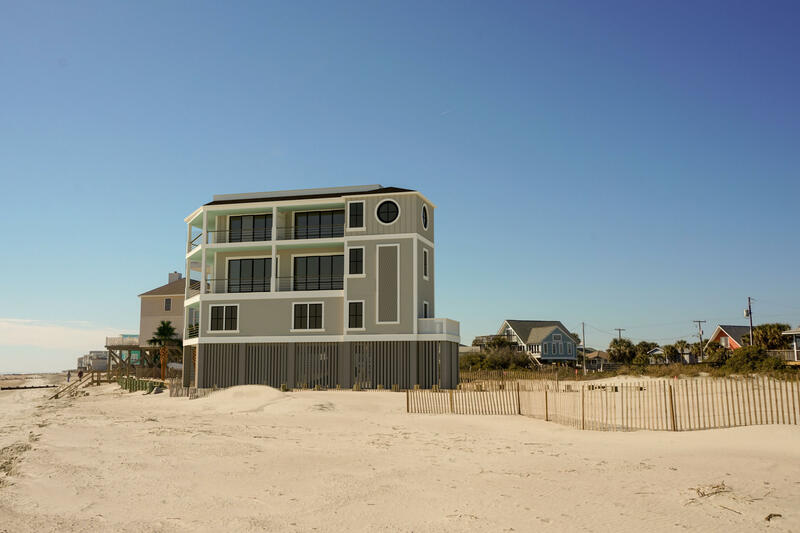 Additionally noteworthy:Elevator to all floors that can be separately coded to only stop on certain floors for rental purposes. 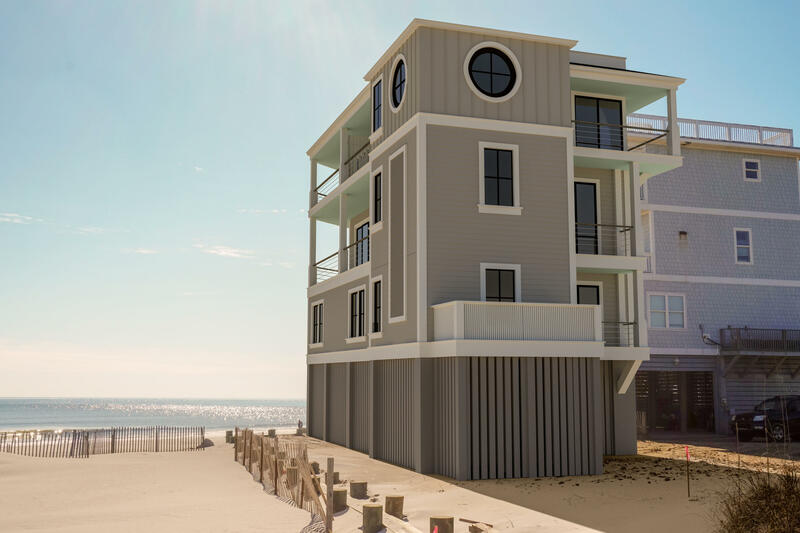 Massive windows and glass doors, luxury COREtec waterproof plank flooring, high end lighting and ceiling fans, crown molding throughout, weather strong hardy board siding, and Rinnai tankless water heater. 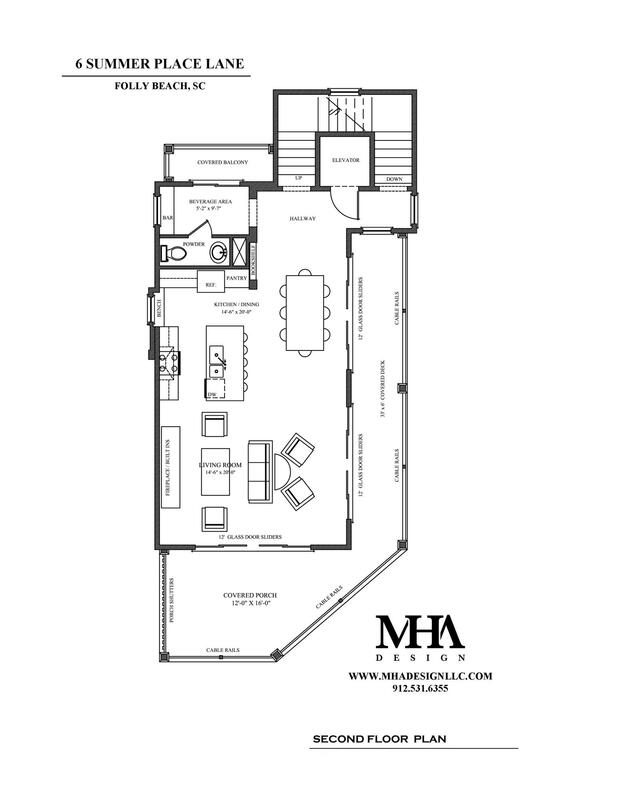 This home is graced by soaring 9'8" ceilings on the 2nd floor and 8''6" on the other floors. 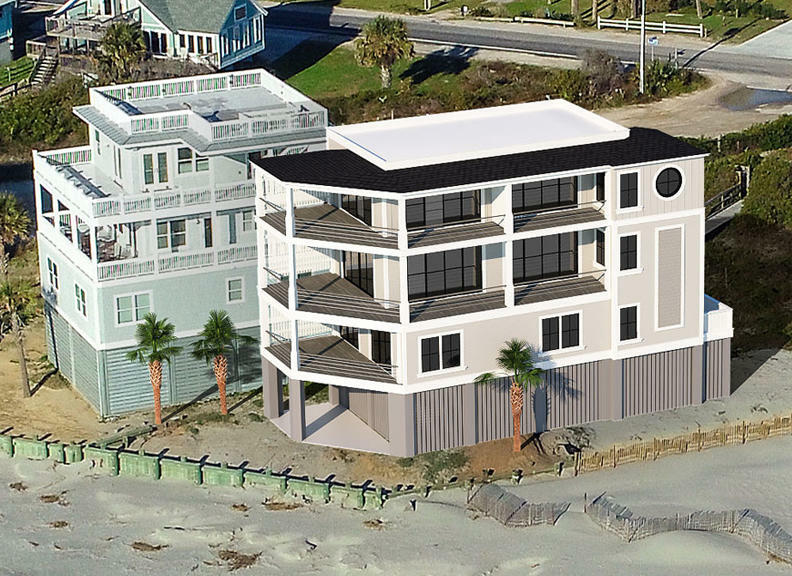 Ground level: 2 car garage with additional storage, outdoor shower and 6" raised veranda covered deck, steps to the ocean. 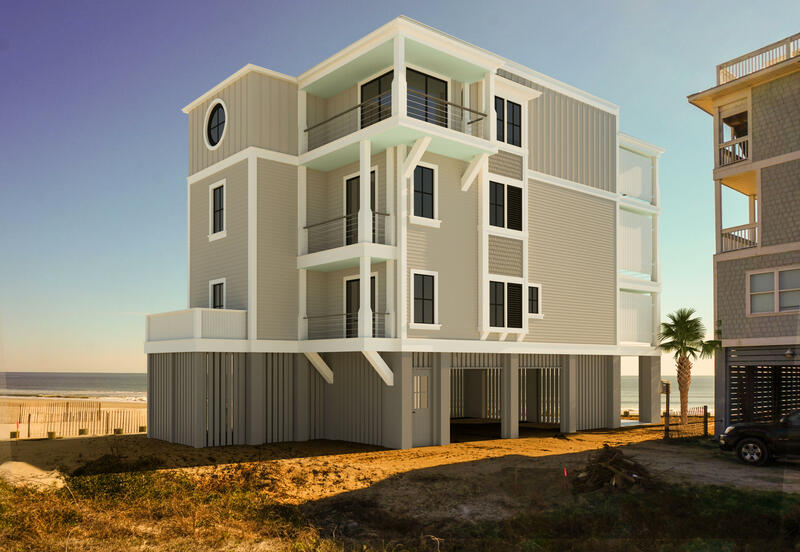 Level 1: One of the dual masters and another bedroom, for a total of 2 bedrooms each with their own baths, great room, art studio/home office, sunset covered balcony and a large covered terrace overlooking the ocean. 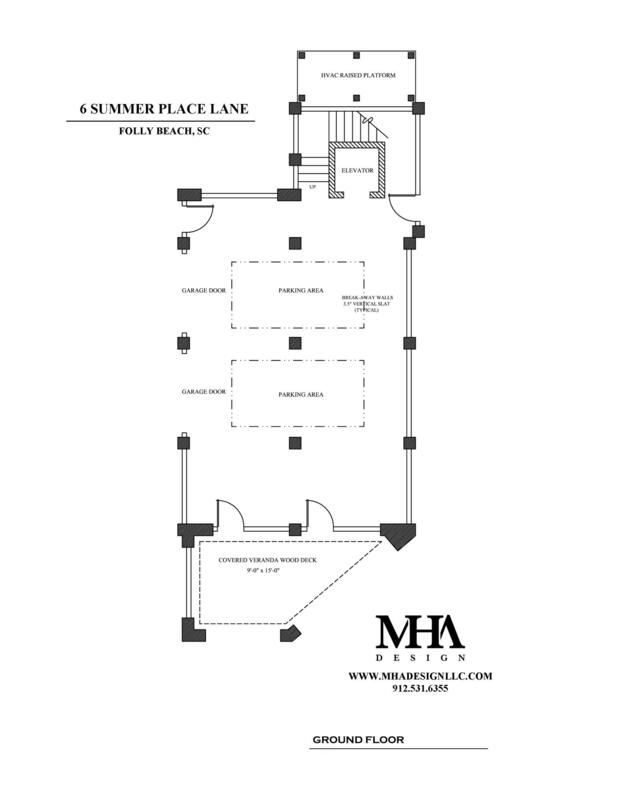 Level 2: Large covered terrace and covered balcony, great room area open to the eat in kitchen, powder room and an entertainment/bar area. 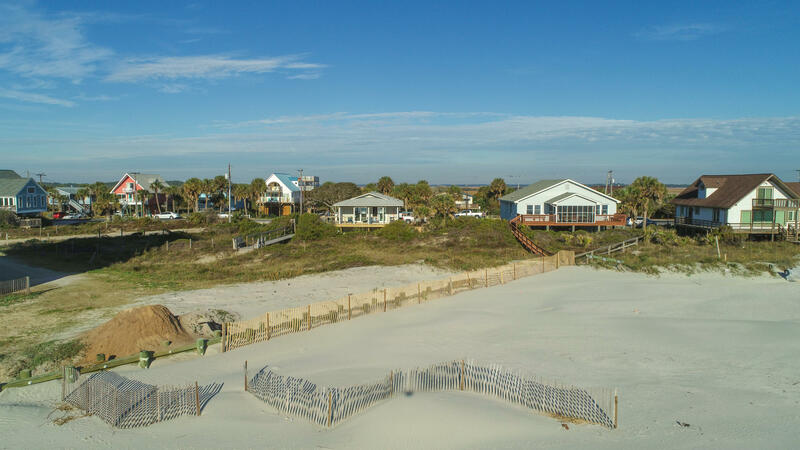 Sunrise and sunset views from both porches. 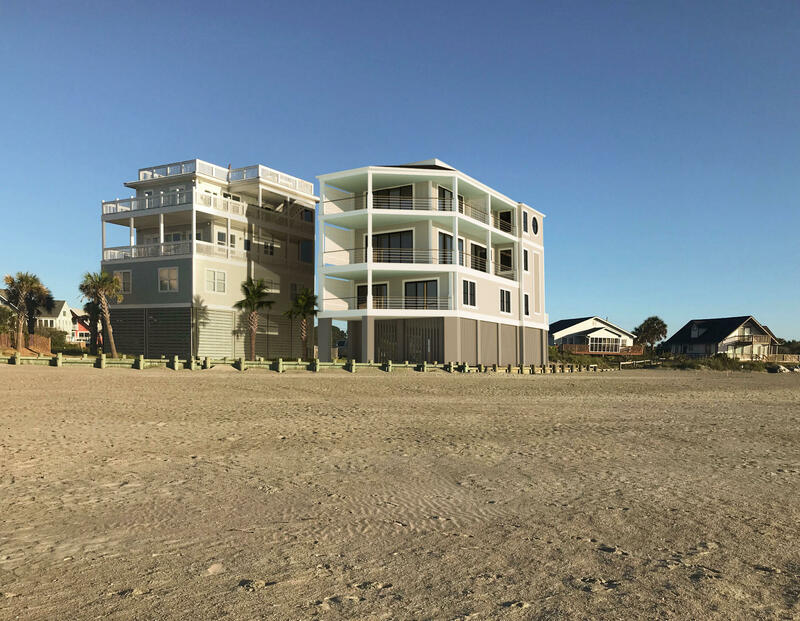 Level 3: The ultimate retreat- luxurious master suite with large bath with steam shower option, dual sinks, his and her walk in closets, a sunset room, and covered balcony. 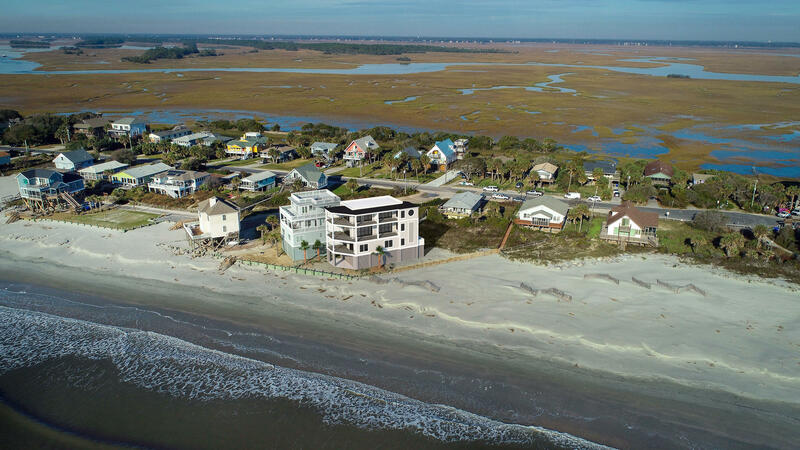 Created by MHA Design, LLC this home offers the easy beach living that dreams are made of! 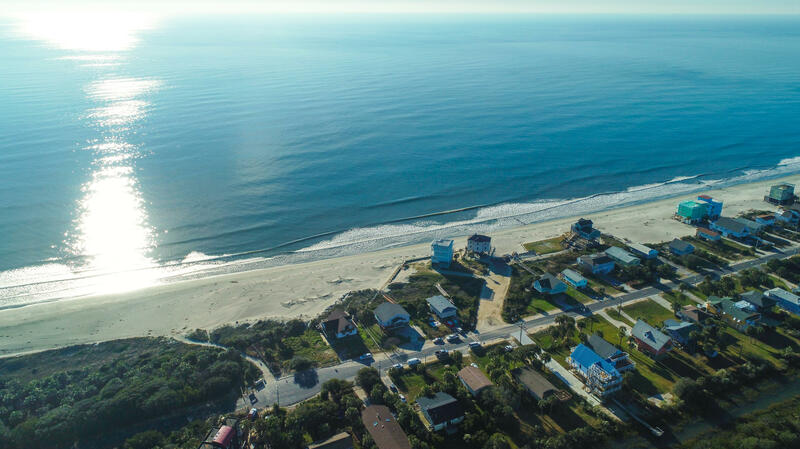 No HOA or regime fees! 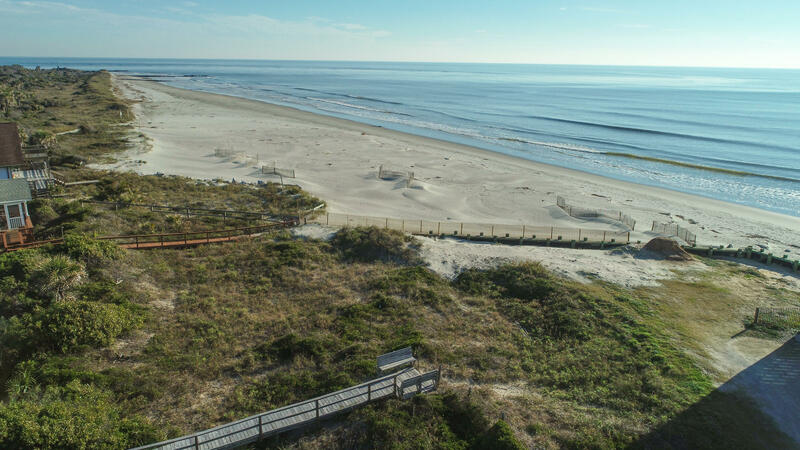 Watch the dolphins, hear the waves, feel the Folly ocean breezes, and behold the gorgeous sunrise and sunsets. 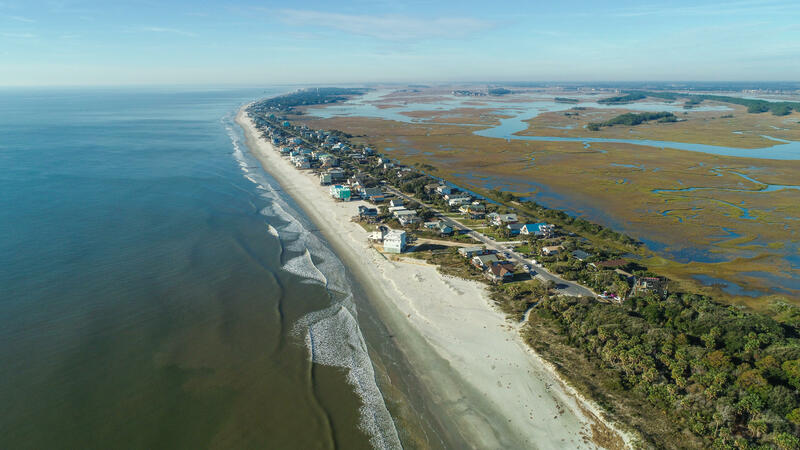 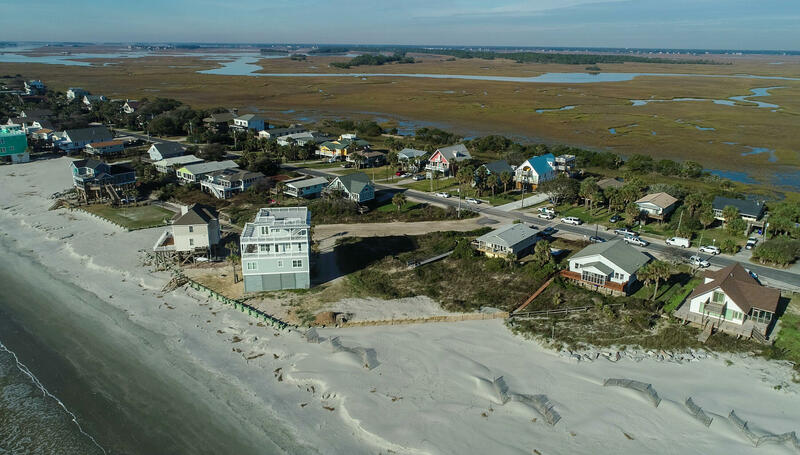 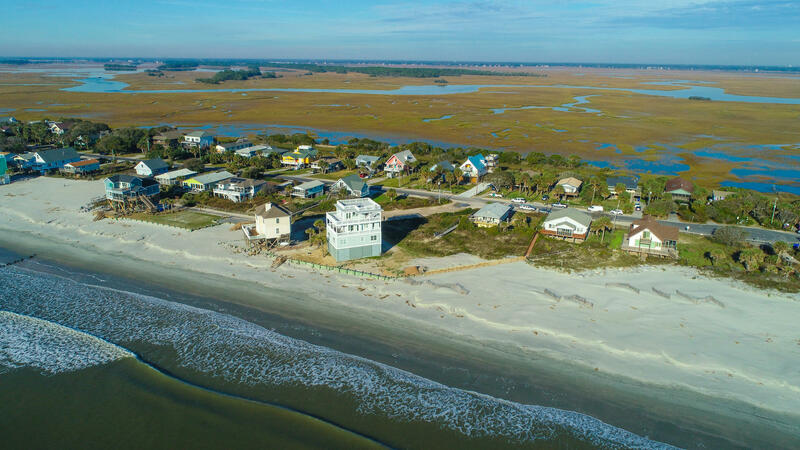 Only approximately 15 minutes from downtown Charleston, and 5 minutes from downtown Folly''s great restaurants, bars, shops, and the fishing pier with dances in the summer, movie nights and more. 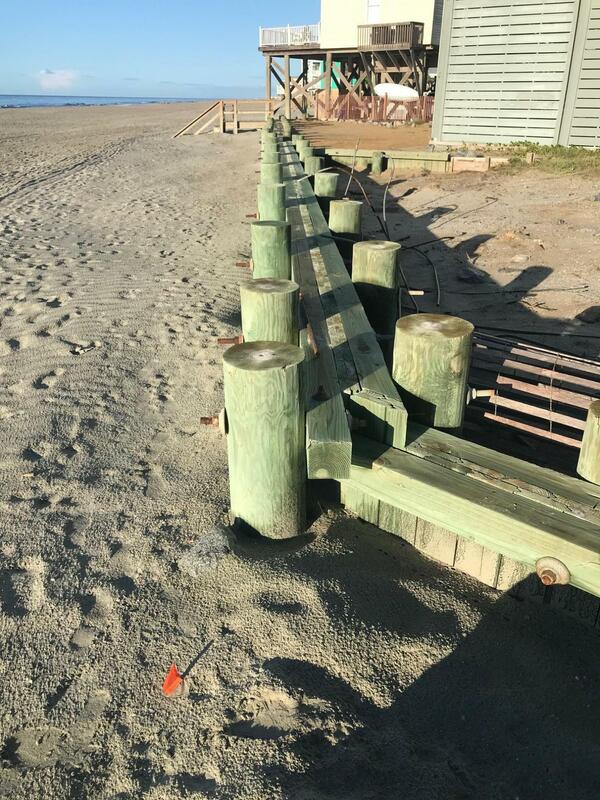 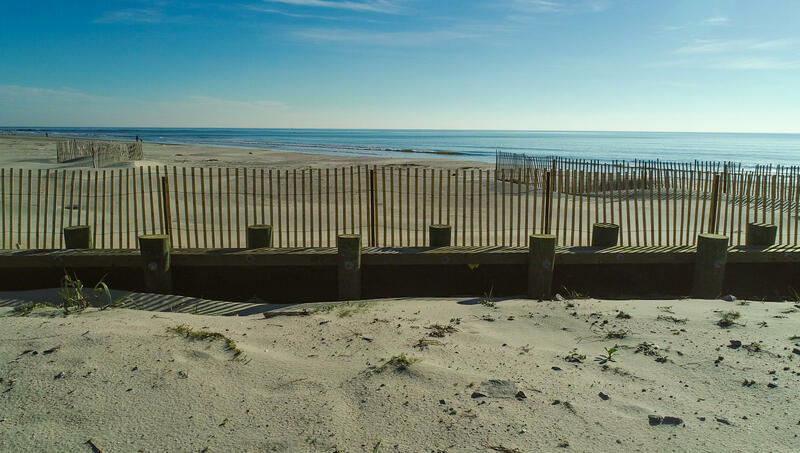 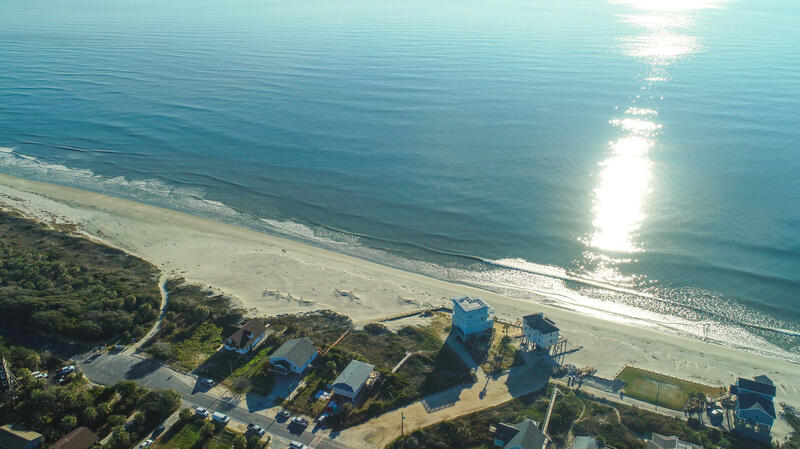 Only a 3.5 mile walk to the Folly Pier, or easy bike or golf cart ride! 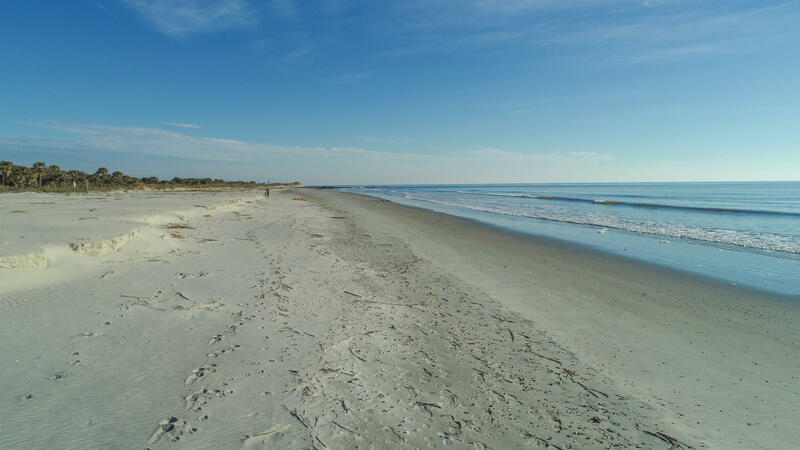 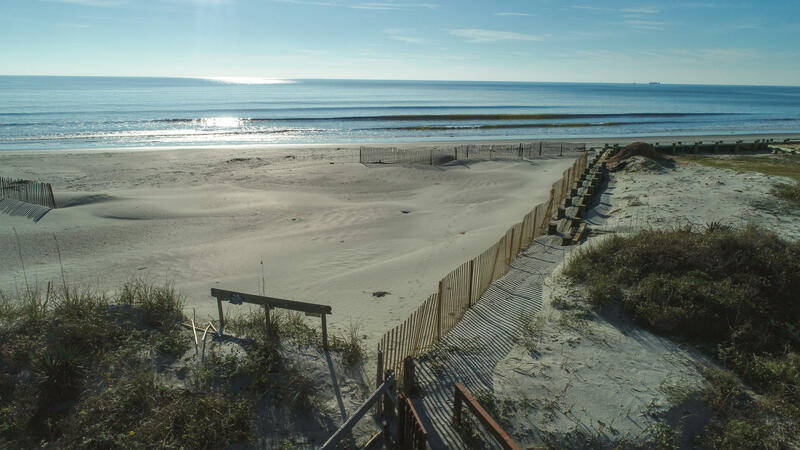 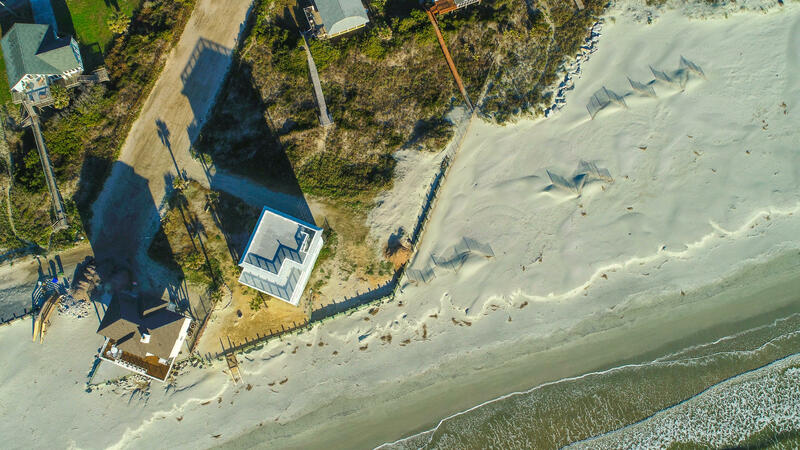 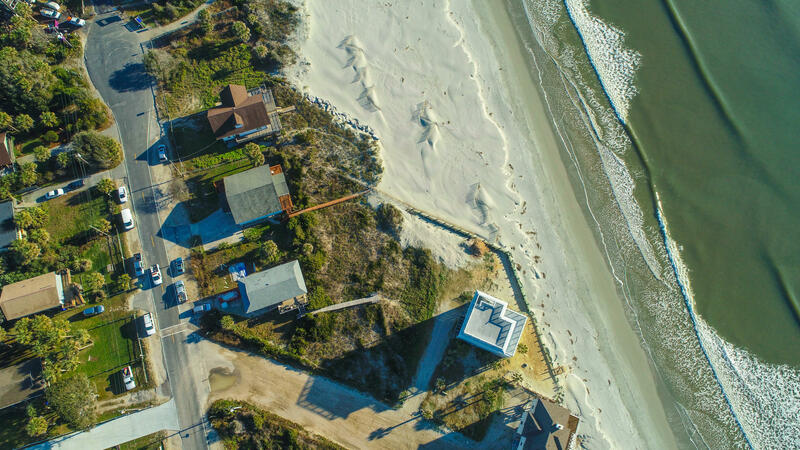 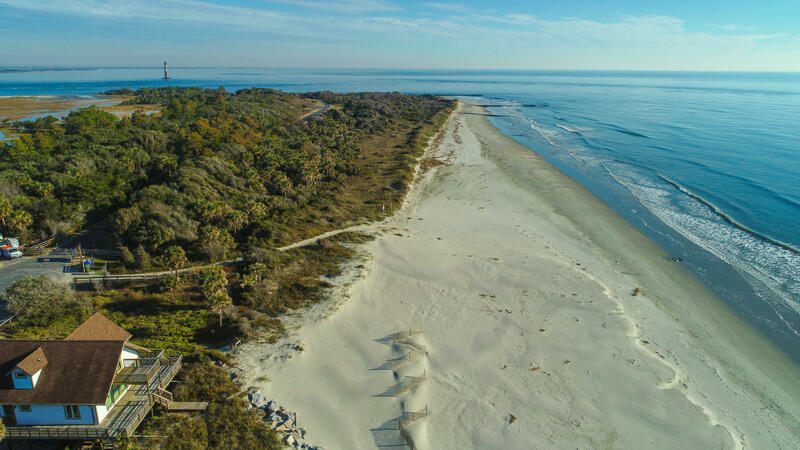 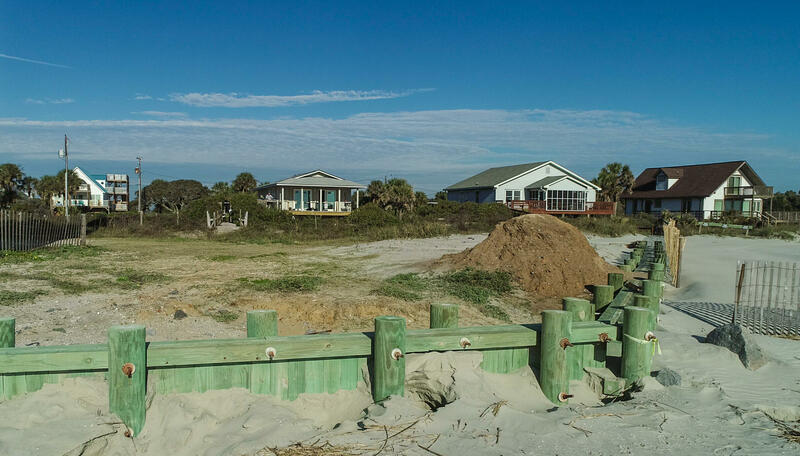 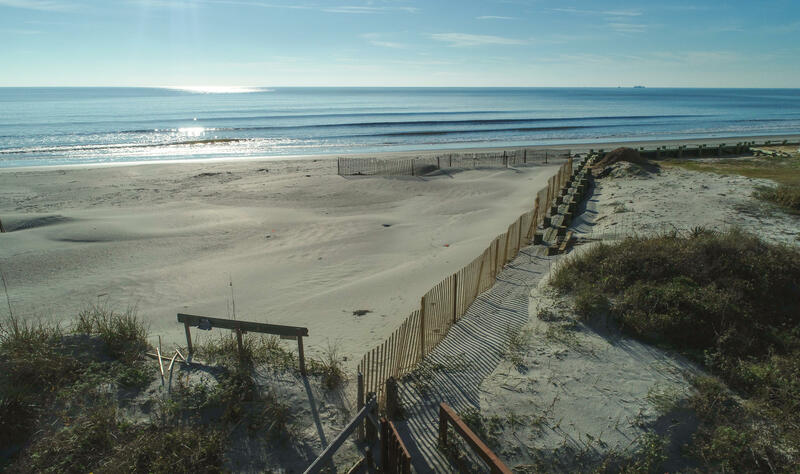 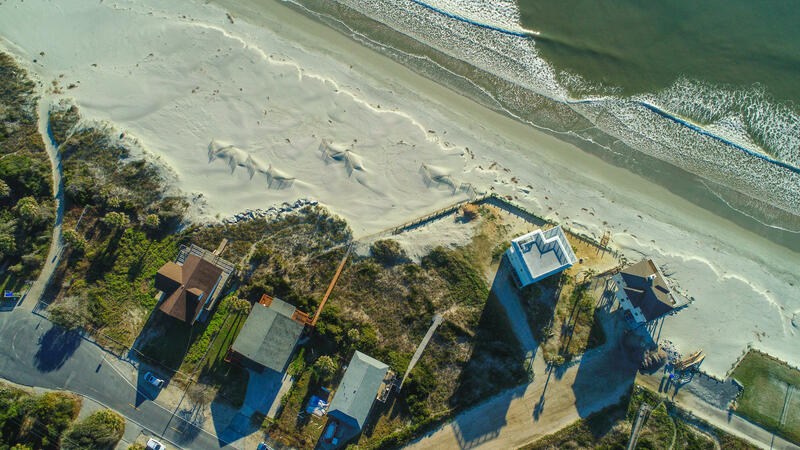 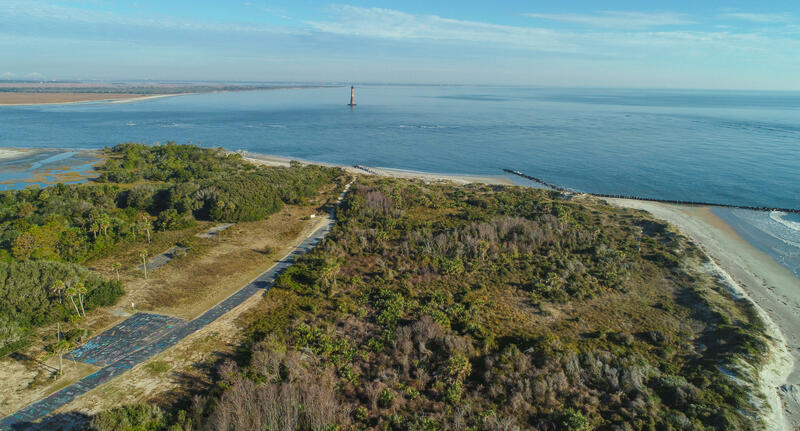 One of the last buildable oceanfront lots on Folly!! 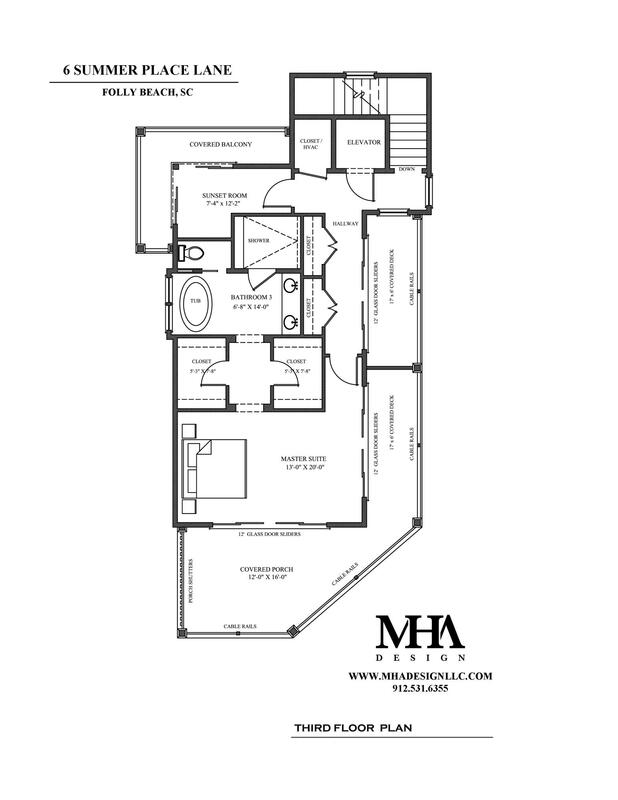 Call this yours today!